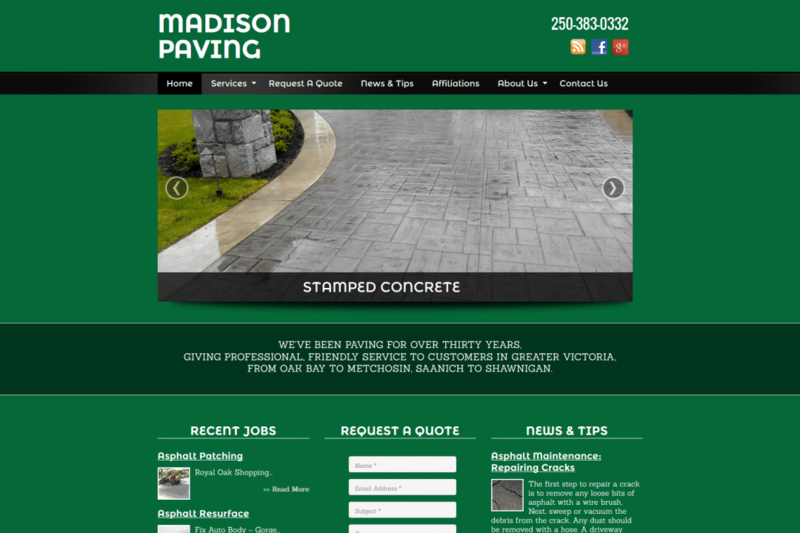 Madison Paving is a professional paving company that provides superior quality and friendly service; with over thirty years of experience. Their clientele base includes customers from Greater Victoria, extending up towards Metchosin and Shawnigan Lake. Whether it is residential or commercial projects, Madison Paving uses a team of experienced pavers to ensure your job is done correctly the first time. They are committed to providing superior quality work, with no job being too small.